Neat Professional Organising is an in-home decluttering and organising service based in Adelaide, South Australia. 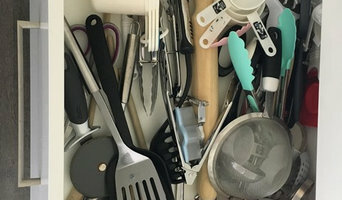 We can help reorganise any part of your home, whether it's a neglected filing cabinet or an overstuffed wardrobe - we'll take the stress out of decluttering and show you how to begin. 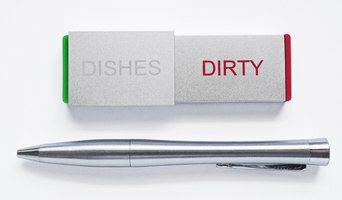 Let us help you simplify your relationship with your stuff. Organising homes and offices to simplify lives, and reduce stress. We can show you how to minimise the mess, with a package to suit your needs, so you can focus on the important things in life. Classique Built-Ins is a South Australian owned and operated business, built on service and attention to detail. We build only the finest quality furniture using solid timber construction, the best materials and components. Painted, stained, frosted glass, mirrored and laminated. Sliding doors, hinged or walk in or walk through… the choices are endless. We have an extensive showroom, with many popular styles on display. But if you are looking for something special, remember that we offer a tailor made service. It is one of the many reasons our clients choose our products. Because we are flexible with the interior and exterior designs we provide, we can listen to your ideas and develop a solution for you. So no matter what your budget, we can provide a quality robe, designed, matched and installed at highly competitive rates. You can email us, or call our factory sales showroom toll free on 1800 356 700. The Bordex brand of premium quality commercial and residential wine racks has become synonymous with wine lovers all over the world since its early beginnings back in the early 1990's. We are extremely proud to be Australian makers of such innovative wine storage and display systems and have been operating in Adelaide - South Australia for some 20 years during which time we have been exporting to all corners of the world. In 2010 the brand received a makeover and a restructure with new management that are committed to producing quality products coupled with exceptional customer service. Our commercial wine racks are the most space saving units in the world and our unique residential modular racks are available in a range of kit sizes and can also be custom made to accommodate any size wall or cabinetry. Made from quality hardwood plantation timber and baked enamel steel, every Bordex wine rack is manufactured to the highest standard. Look for the Bordex logo to ensure you are buying a genuine Bordex product. Supercheap Self Storage Adelaide is owned by businessman Mel Brandle. The company takes the portable self storage units Adelaide to the customer’s location, and returns them again to the warehouse once they are loaded. The prices are low in comparison to other facilities and the service convenient for everyone involved. What does a professional organiser do? 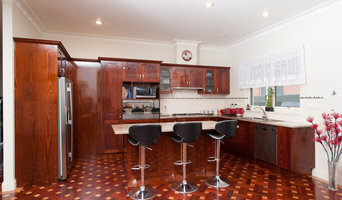 Experts in home organisation can help streamline and organise your home life. They provide bespoke storage solutions and strategies to ensure everything in your Adelaide, South Australia home has a place and you can live comfortably. Some can help you regain control of your entire house, while others specialise in specific areas, such as wardrobes, offices, paperwork and collections. They also provide coaching so that you can maintain your new organised space. The very essence of home organisation is styling that is practical, efficient and easy on the eye, thereby most professional organisers supply and install lighting, fixtures and storage solutions within the designated space. Depending on the project, some may also design custom wardrobes and storage systems, or work with a custom cabinetry or storage company to find the right solution for you. Here are some related professionals and vendors to complement the work of wardrobe designers and professional organisers: Interior Designers & Decorators, Furniture & Accessories, Design & Construction Firms. Aside from general organisation and storage solutions, a professional organiser can also prepare your home for sale, help set up your new home, as well as assist in downsizing or deceased estates. Who is your typical client? Do you have any experience with projects similar to mine? Are you a member of the Australasian Association of Professional Organisers (AAPO)? Do you have any training or hold certificates in organising or related areas? How much do you charge and what does that include? 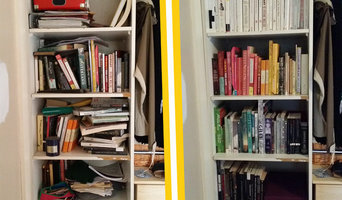 How will you help me learn to maintain this method of home organisation? 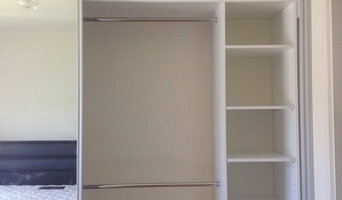 Find a wardrobe, storage and organisation expert on Houzz. Scroll through this page to find Adelaide, South Australia professionals who can design and install storage solutions, as well as provide home organisation services. You can browse their previous work, read reviews and see how other homeowners rate their customer service, product and expertise.